The location would be hard to beat. Watching the stunning sunsets from the 2nd floor balcony was breathtaking. However, this poor old house is in serious need of some love and attention. Just clearing the closets of all the old broken ornaments, pieces of broken furniture, old animal cages, old bedding, cushions, plastic plants would make a huge difference. The furniture on the balconies is old and stained. I had to sweep, clean and arrange the furniture to make the balconies comfortable. I had to rearrange the closets by moving and stacking all the ‘junk’ to one side before we could unpack – the closets are so full and cluttered with the owners life possessions, there was little room for our things. The microwave was literally in pieces – 2 panels had come off and were just shoved by the side. I found a dirty stained pair of boxer shorts shoved down by the side of one of the twin beds when I was cleaning. The telephone and wifi went down almost on a daily basis. Despite the general dilapidation of this property, we had a fabulous time on AMI, and will definitely return – just not to Coquina Breeze. What a shame, because with some care and attention, a thorough clean, some essential maintenance and replacing old worn furniture and fittings, this house would be a gem. 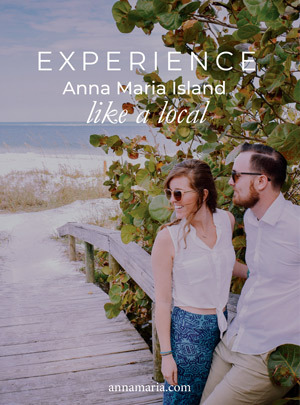 It makes me wary of booking with Anna Maria Vacations again if this is an example of the property they rent. Thank you so much for taking your time and letting us know about your stay with us at Coquina Breeze. We are happy to hear that you enjoyed the gorgeous views from the balcony and got to see the sunset from ​the comfort of your vacation rental. For future stays, please let us know if there is anything that you wish for us to take care of during your stay, we would have loved the opportunity to have tended to your concerns during your stay. We appreciate your understanding that all of the homes we manage are privately owned and the decor, furniture as well as many other aspects of the homes are up to the homeowners. Your feedback has been forwarded on to the home owner for further evaluation. Please let us know when you are planning your next trip, our reservations agents would love the opportunity to assist you in hand selecting the perfect vacation home!